MAY 2018 – I am grateful to report that I received a kidney transplant on January 8, 2018. I received a deceased donor kidney and I still pray for my donor’s family often even though I do not know who they are. My mom passed away in March, so I understand the loss they must feel daily. So far, my new kidney and I are getting along well and I’m feeling much better! 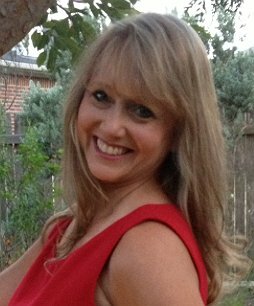 NOVEMBER 2017 – I’m Wendy Watkins Boggs and I have recently been diagnosed with end stage renal disease (ESRD). Due to a genetic flaw in my family tree, five out of seven siblings in my mother’s family have been diagnosed with chronic kidney disease (CKD) and I have also inherited this condition. My kidneys have deteriorated to a point where my only treatment options are limited to either dialysis multiple times a week or a kidney transplant for survival. I currently reside in Round Rock, Texas, but grew up in Killeen, and graduated from Ellison High School. (Go Eagles!!) Following my college graduation from Texas A&M University, I have worked as an academic advisor at multiple institutions of higher education and currently advise at The University of Texas at Austin. I love my job! I thoroughly enjoy inspired conversations and guiding college students toward the achievement of their educational goals. Although transplants are life-saving; they are also financially draining. Even with insurance, anti-rejection medications can be costly and I will need them for the rest of my life. Given this information, I have been advised by the transplant center to set an initial fund-raising goal of $20,000. Although I am typically fiercely independent, I find that I’m no longer in a position to be able to do this on my own; therefore, a fundraising campaign has been established in my honor with Help Hope Live, a trusted nonprofit organization which allows tax-deductible donations allocated for confirmed medical expenses. Please consider making a contribution today. For credit card donations, please click the Donate Now button. Thank you for your kind consideration. Wendy, I still remember you as one of the best advisors I’ve had throughout my education. Thank you for everything you did for me- I’m thinking of you and am more than happy to help however I can. You are a rockstar, Wendy! Thank you so much for all of the support, advice, and encouragement. Wendy, I was saddened to hear about your struggles but have no doubt that you will persevere! The world needs your beautiful spirit and heartwarming smile! Praying for your surgery and ongoing treatment. If you are comfortable with it, I would like to post your campaign on my Facebook page. Like you, I am also in higher education and would like to help assist you in making your goal. We are here to help! You are the real WONDER WOMAN! We are here for you and we are fighting with you! Wendy, you were a source of inspiration and assistance my four years at UT and now I hope your friends can provide the same to you. 2017 may not be the year for kidneys, but 2018 sure can be! I hope your friends can make the financial end of this the least of your concerns as you move through this process. We all just want you to have the healthy kidney that will allow you to keep being the Wendy we know and love!